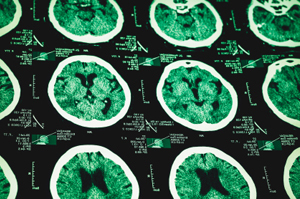 What Causes a Traumatic Brain Injury (TBI)? You are here: Home / Research Your Legal Issue / Personal Injury / What Causes a Traumatic Brain Injury (TBI)? Brain injuries, often referred to as Traumatic Brain Injuries (TBI), develop from an external force to the head which results in the trauma of the brain forcefully colliding with the skull. For the 1.5 million people that annually experience TBI, the resulting injuries are often devastating and may cause, among physical damage such as a permanent vegetative state, coma, or death, additional emotional and behavioral problems for those who survive. According to the United States Centers for Disease Control and Prevention (CDC) there are approximately 1.4 million people in the U.S. who suffer from a traumatic brain injury each year. 50,000 of those people die as a result of their injuries, while 85,000 suffer long-term disabilities; the remaining 1.25 million–while not necessarily their exact same selves, pre-accident–go on to lead mostly unchanged, productive lives. Currently in the U.S., however, more than 5.3 million people still live with disabilities caused by TBI, with their injuries ranging in severity from “mild” (a brief change in mental status or consciousness) to “severe” (an extended period of unconsciousness or memory loss after the injury). Most TBIs that occur each year are mild, commonly called concussions. And, while a TBI can happen to anyone, males are at greatest risk in every age group. Regarding children affected by traumatic brain injuries, the terms “mild,” “moderate” and “severe” used to describe the effect of the injury on brain function may have less serious implications for age groups with fully-developed brains, than the functional impact upon a child or adolescent’s still-developing brain, which can return very different and often far more lasting consequences. TBI remains the leading cause of disability and death in children and adolescents in the U.S. Though cognitive impairments upon children may not be immediately apparent, children who have suffered a TBI-resulting accident (including babies who suffer from Shaken Baby Syndrome) may face increased cognitive and social difficulties for new learning and more complex, socially appropriate behavior throughout their lives. The top 10 head injury categories among children ages 14 and younger include cycling (32,899 injuries); football: (17,441 injuries); baseball and softball (13,508 injuries); skateboards/scooters (11,848 injuries); and basketball (10,844 injuries). In the past twenty years, neurologists and other researches have learned a great deal about brain injury, most notably, perhaps, that the brain is much more vulnerable to injury than previously assumed. That being said, let’s go on to what, exactly, can cause a TBI, and a resulting injury’s impacts. What can cause a TBI? Tearing of cellular structures, resulting from severe rotational or spinning jolt. A blast, such as from an explosive device. An object penetrating the skull, such as bullets or glass shards (as from a car windshield) which frequently results in irreparable damage to brain cells, blood vessels and protective tissues around the brain. Bleeding in or around the brain, swelling, or disrupted the oxygen flow which limits supply to the brain. Falls. Falls accounted for 47% of all TBI-related ED visits, hospitalizations, and deaths in theU.S.in 2013. Falling out of bed, down steps, from ladders, and slipping in the bath: all pose the present threat of real brain damage, should the head take a blow in the fall. Falling remains the most common cause of traumatic brain injury overall, and though it principally occurs in older adults and young children, no one is immune to the occasional slip, nor the potential damage. Vehicle-related collisions. In 2006, a study was done at the Atlanta National Center for Injury Prevention and Control, which showed that 280,000 people in the U.S. receive a motor vehicle-induced traumatic brain injury every year–that’s of the total 1.4 million people who annually suffer a TBI. Collisions with motor vehicles, as well as with cyclists and pedestrians involved in such accidents, resulting in TBI may be caused when the skull strikes an object like a steering wheel or windshield, though whiplash–when the head is suddenly twisted with the deceleration of a moving vehicle–appears as one of the most common causes of TBI in these tragic crashes. If pedestrians and cyclists are involved in the accident that leave them with a TBI, it may have been caused by, among other possibilities, being knocked to the pavement or roadway. Medical Negligence. TBI resulting from medical negligence is generally a concern for newborn babies that are improperly delivered; this form of negligence may be the result of, among other possibilities: failing to anticipate birth complications with a larger baby, or maternal health complications; failure to respond appropriately to bleeding; and failure to observe or respond to umbilical cord entrapment. While TBI-resulting medical negligence affects newborns more than other age groups, a medical practitioner may also perform a medical error that increases the severity of a patient’s existing brain injury, thus implicating themselves in the patient’s suffering and TBI. Violence. About twenty percent of TBI cases are caused by violence, such as gunshot wounds, domestic violence, or child abuse. Shaken Baby Syndrome, or Abusive head trauma (AHT)–which usually occurs when a parent or caregiver severely shakes a child in frustration or anger, perhaps because the child won’t stop crying–is a traumatic brain injury caused by the violent shaking of an infant that damages brain cells. In most cases, cases of AHT are considered child abuse under U.S.law. Sports injuries. Traumatic brain injuries may be caused by injuries from a number of sports, with cycling–64,993 injuries in 2007–and football–36,412 in 2007–being the cause of most TBI cases. Nonetheless, other sports such as soccer, boxing, football, baseball, lacrosse, skateboarding, hockey, and other high-impact or extreme activities pose their own significant threats, particularly for youth. Explosive blasts and other combat injuries. Explosive tertiary blast injuries–caused by being thrown by blast wind–are a common cause of traumatic brain injury among either active or veteran military personnel. Although the mechanism of tertiary damage isn’t yet well-understood, many researchers believe that the pressure wave (the “overpressurization wave”) passing through the brain significantly disrupts brain function. The most common types of nonpenetrating TBI are diffuse axonal injury (form of extensive lesions in white matter tracts) contusions (ruptured blood capillaries), and subdural hematomas (collection of blood in the skull, outside the brain). Collecting the appropriate insurance coverage for your injury claim. Opening a lawsuit against the individual/s who caused your injury. In each case, it’s important that you move quickly, so that you can begin recovering with the full level of support that you deserve. The paradox of an apparently minor trauma causing major injuries and harm must be explained. To accomplish this in a courtroom, it is of utmost importance that credibility of the attorney is established. If you or a loved one has a brain injury, you need a personal injury attorney that understands the emotional and physical toll that this type of harm can take on individuals and families. The attorney should be aggressive in seeking the compensation that you deserve.